HP Enterprise Services is taking over responsibility for the management of all IT service providers working with the energy firm National Grid, under a seven year contract which covers the UK and parts of the USA. Using established processes and software to manage IT service delivery it will take control of support for about 30,000 employees. HP will become the single point of contact for National Grid, which uses multi-sourced IT services. 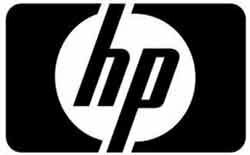 Computer Weekly in-depth Special Report on HP. Sign-up to Computer Weekly to download your copy. "Technology underpins all of our critical business processes and we need to use technology to operate more efficiently and provide our customers with outstanding customer service and reliability," said David Lister, CIO at National Grid. "We're working with HP to establish a service management hub to manage our multi-supplier environment more effectively and to enable us to be more flexible and achieve our cost and service goals." National Grid owns gas and electricity delivery infrastructures in the UK and delivers energy to customers in North Eastern USA. Duncan Aitchinson, head of Europe at sourcing consultancy TPI, says there is an increasing move towards naming one supplier as service integrator. He says it is vital for the supplier taking on this responsibility to provide clarity and in ideal circumstances they will engineer and integrate control frameworks. "Businesses should look for a supplier that has maturity of management processes and the tools," he said. "The supplier chosen should also have a reasonable risk profile." As a result, he says, the service integrators tend to be the major suppliers. Last year Capgemini became the single point of contact for all the Post Office's cloud services as it embarked on a major cloud strategy. See more here about Capgemini's strategy to be a cloud service integrator. Read the views of Fujitsu UK on the role of service integrator.